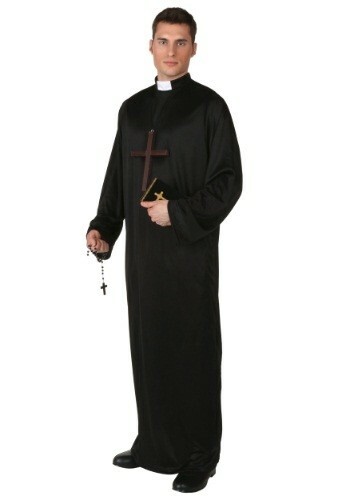 If you want to follow a life of service and ponder the greater meaning of life, this exclusive Plus Size Pious Priest Costume is for you. It takes a big man to shoulder a big responsibility. But you're up for it, right? You'd better be, if you're planning to wear this Plus Size Pious Priest Costume.